John Calkins, founder of Ideal Inspection, has been a self-employed carpenter for over 20 years. As a life long resident of the Auburn NY area he has played an integral part in all phases of the building process. Doing business as Calkins Construction, and Frame Thru Finish, he was involved with numerous new homes, additions, and remodeling projects. He enjoys being able to create and maintain great working relationships with homeowners, homebuyers, local agents, and other related professionals. 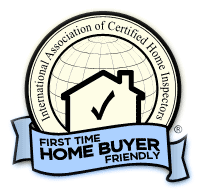 Now that he is a full time Home Inspector, he looks forward to many more years in this very closely related field.